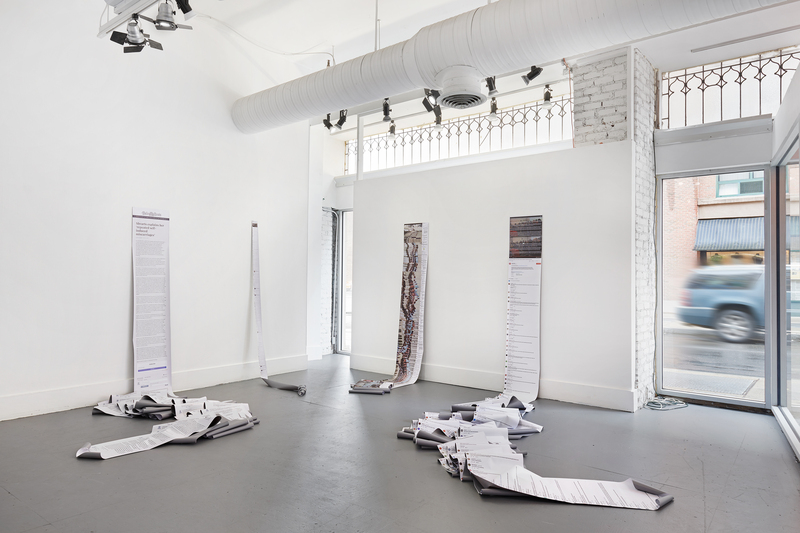 Each banner is composed of a screengrab of a continuous digital window—i.e., the comments section of an online publication, the responses to a tweet or YouTube video, the path of a viral email, or the comments on a Facebook Live stream. 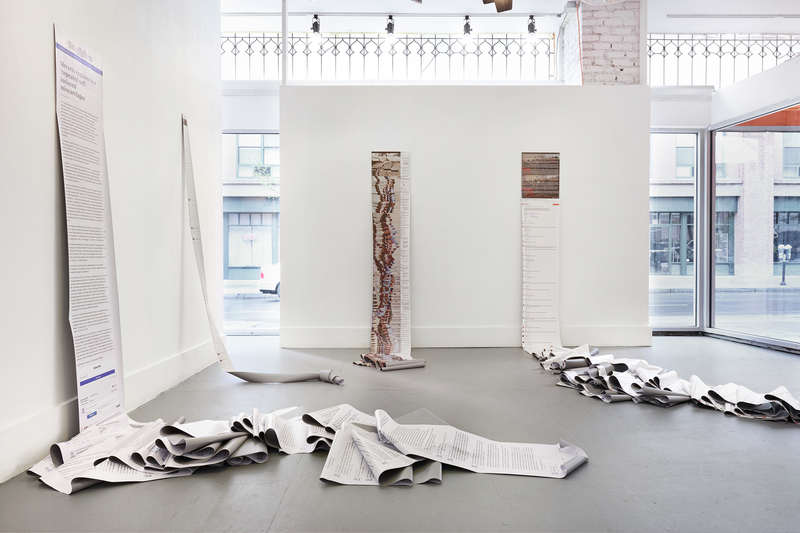 The physical vinyl scroll materializes public moments in the lives of Adria Richards, Nariman Tamimi, Bahar Mustafa, Karen Owens, and the artist—all women who have experienced moments of overexposure on the internet that have gone viral. They are presented as banners of commonality rather than shame. 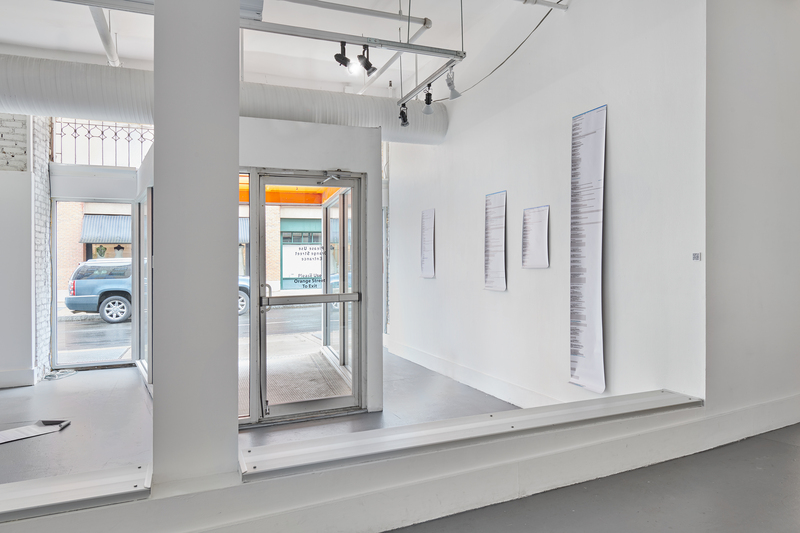 Viewers are invited to pick-up, touch, and read the parts of the scrolls that are not affixed to the wall.